When it all comes down to.. Transparency matters!! 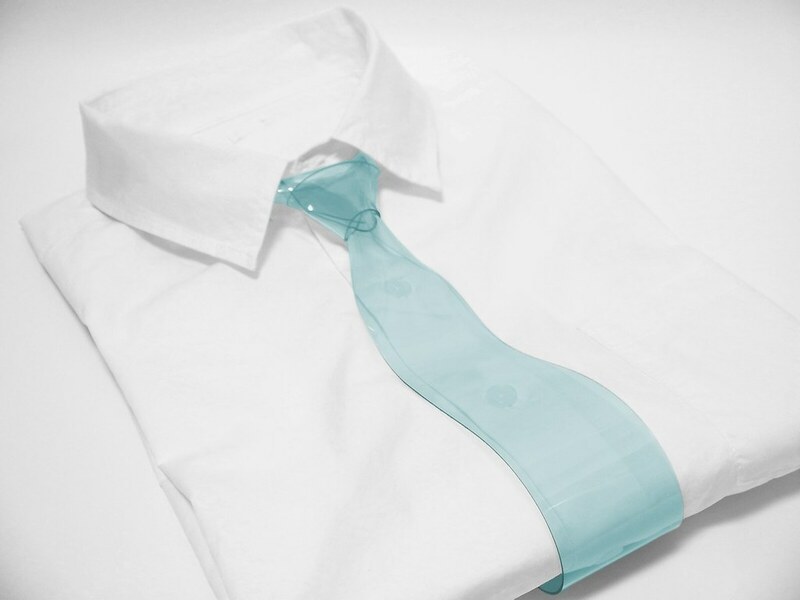 Most clearly, Transparent Necktie is the clearest necktie in the world. 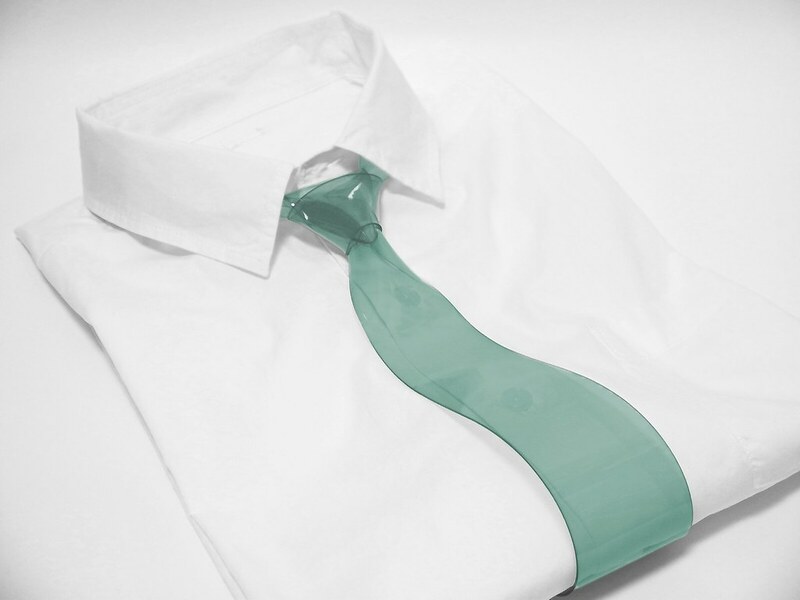 The uniqueness of the distinctive curves and the texture can also be found in no other neckties. 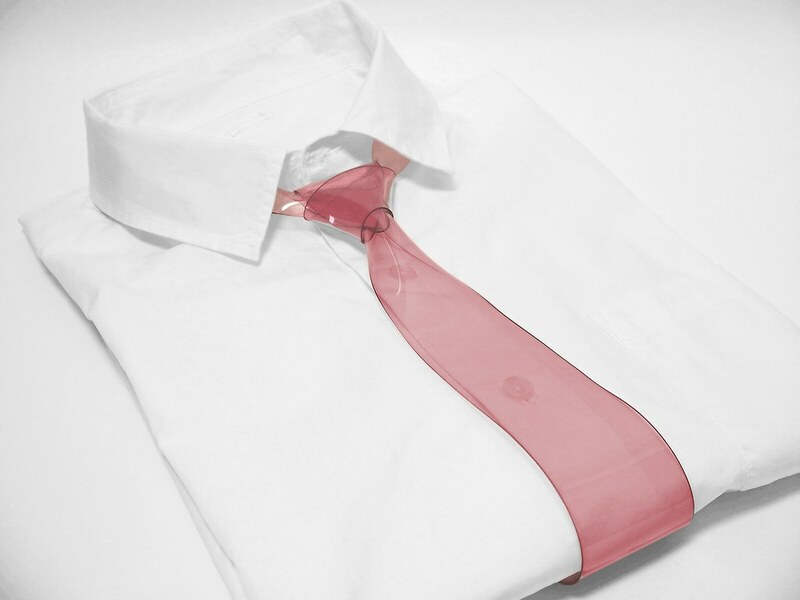 Explore the new world through Transparent Necktie! 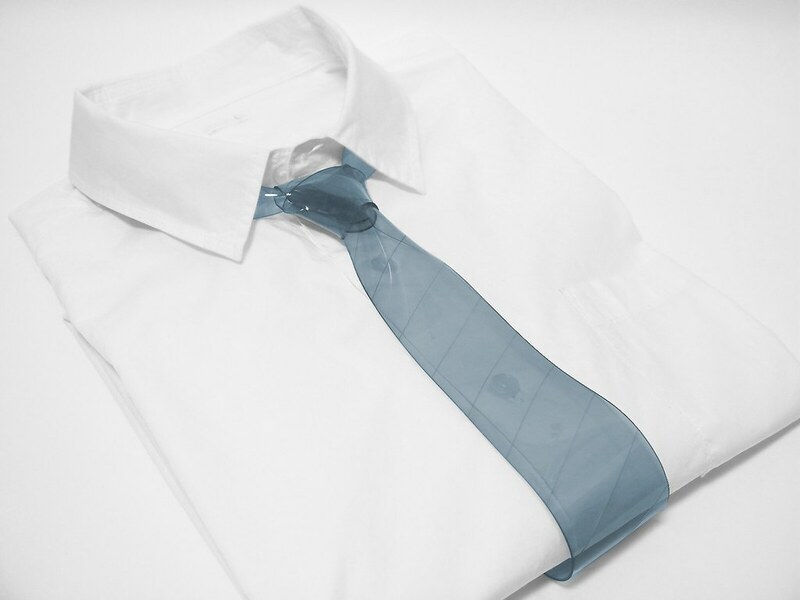 EUREKA is also the only necktie in the world that has rewritable feature. 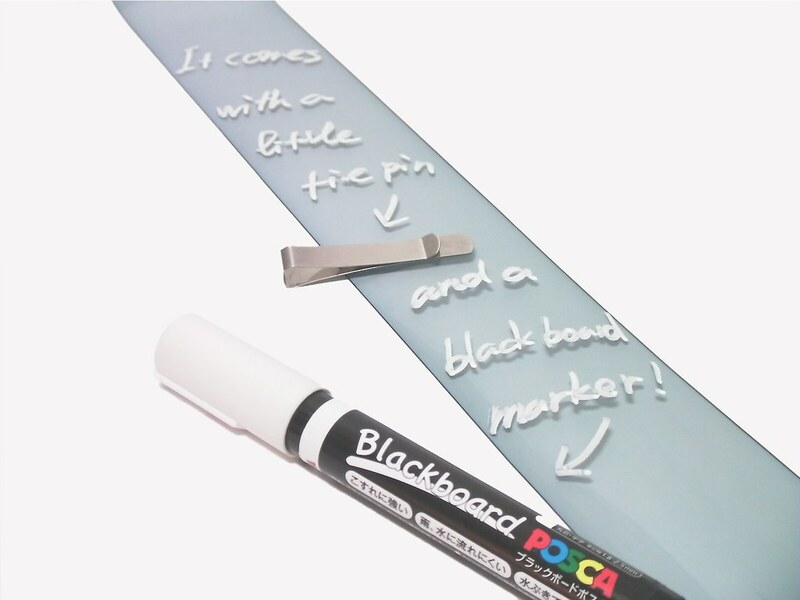 A recommended white POSCA blackboard marker comes with your purchase. This specific marker is ideal because of its scratch resistant, splash water resistant, and its great erasability on PVC. Your writing can be erased with a wet cloth or water. When you rather prefer to keep your writing/drawing, you may do so by using a permanent marker. If you would like to use other blackboard markers, please test its erasability before use. Design and express your self! 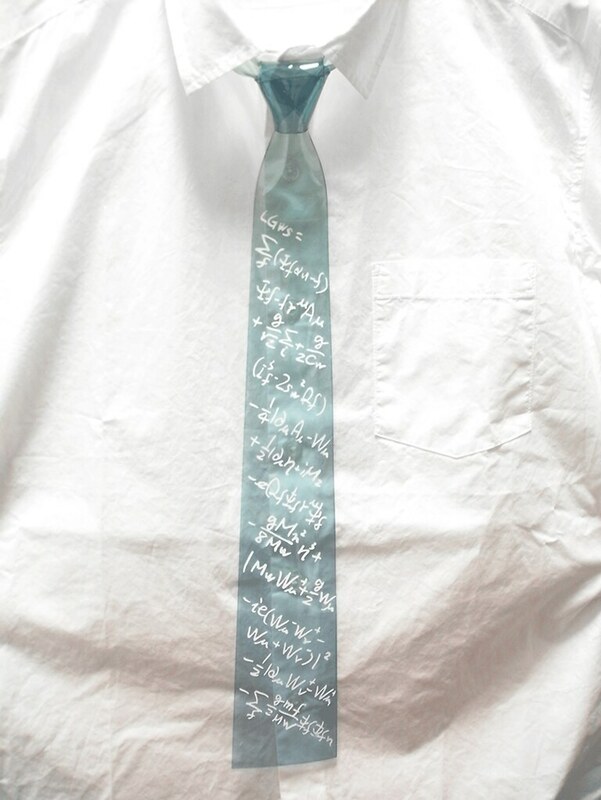 Celebrate holidays with your own message/drawing on your necktie! Enjoy the quotation of the day on your necktie! Put any word, formula, or anything that you would like to learn by heart. 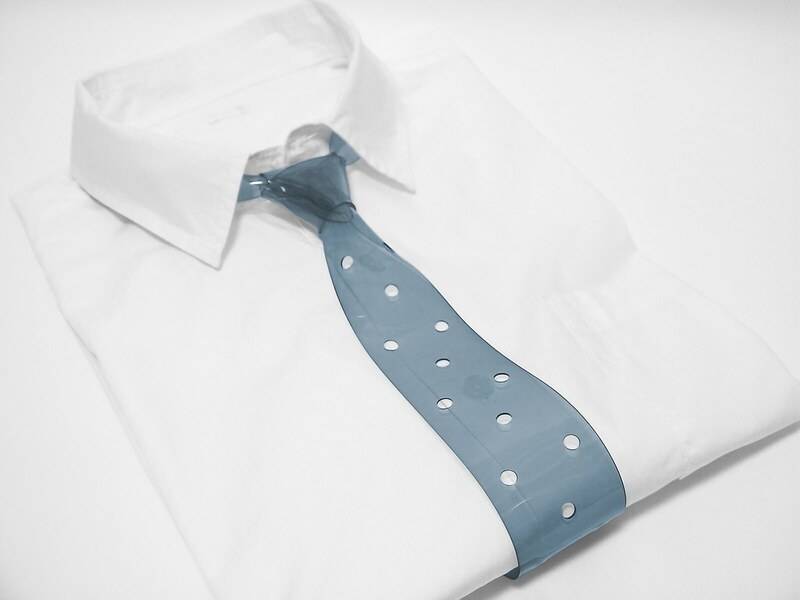 Enjoy decorating your necktie with stickers or masking tapes. Be creative! Use it as a platform of your gift message or autograph medium. 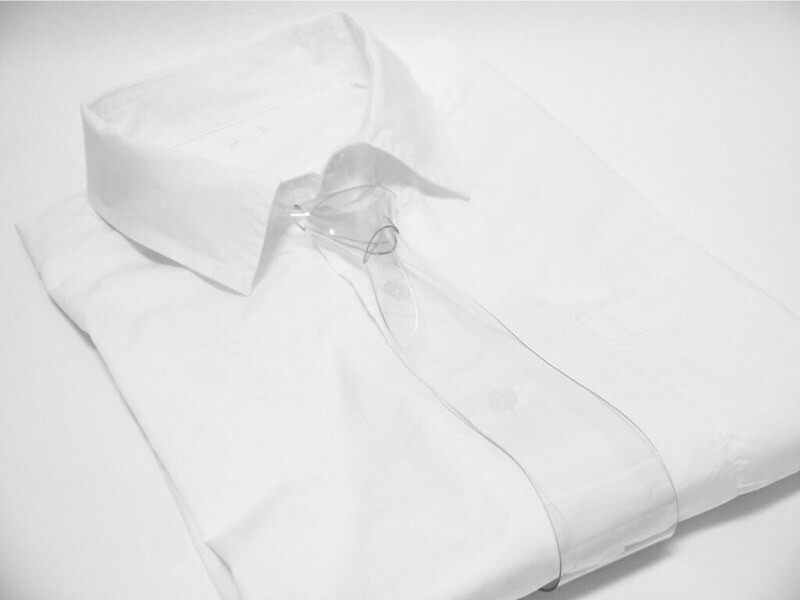 Eureka almost suits to any shirt because of its transparency. 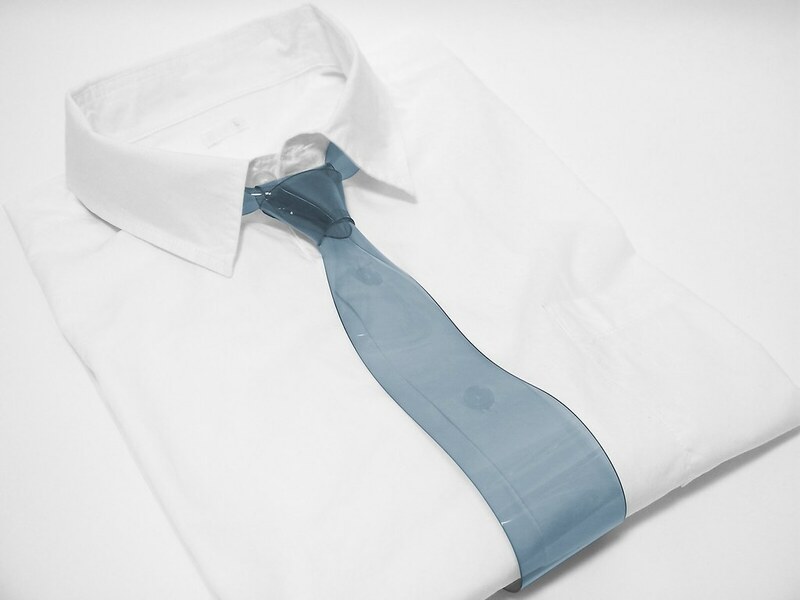 The transparency also makes it possible buttons to be still visible behind the necktie. Eureka is made of PVC and therefore it can be maintained easily. Even in a such case, you spill bloody wine over it, it is absolutely hustle free. You can just wipe it off. 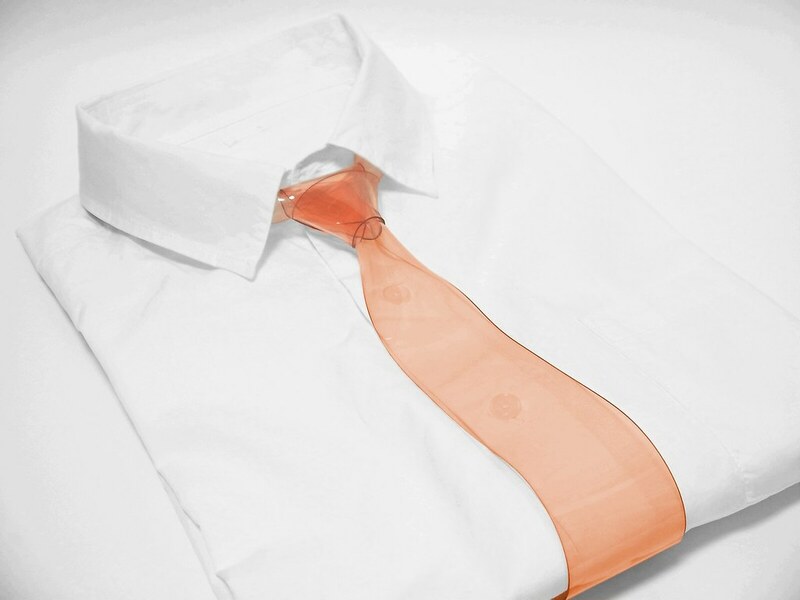 You do not need dry cleaning ever for this necktie! You may wash it gently with dish washing detergent and warm water when necessary. 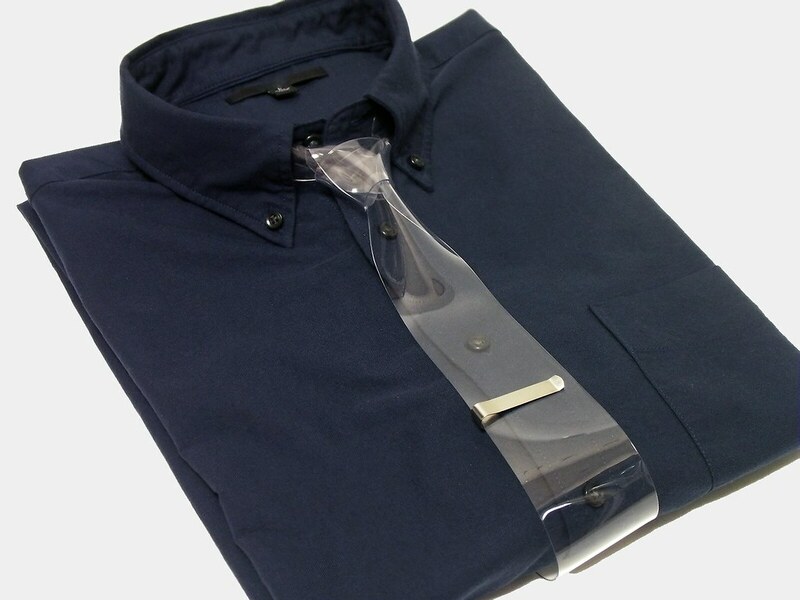 Once the neck size is adjusted, you can wear it on and off in one action. 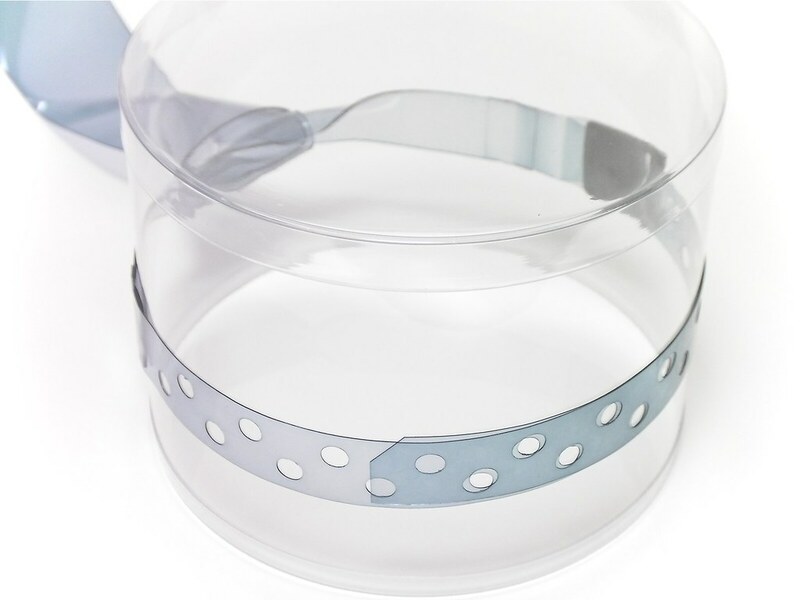 Lightning stripes and see through polka dots are available in options. Please avoid contacting it to other PVC products or printed materials. Colors or print may be transferred. Please avoid to leave it in a hot place where exceeds 50°C.